Miss SA runner-up Remona Moodley says I do! 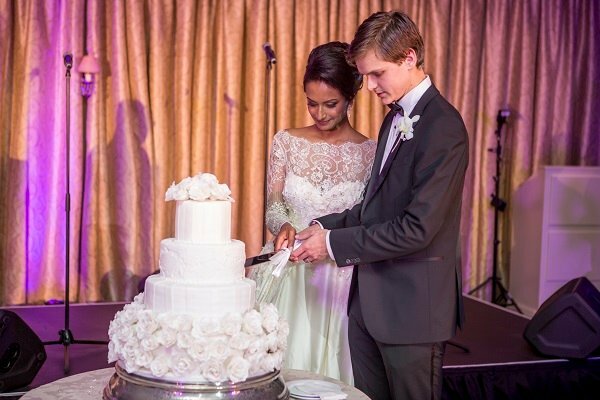 Remona Moodley marries her long-term boyfriend in a fairytale ceremony. She was lovely on the Miss SA 2011 stage and graceful when she represented us at Miss World 2012. But Remona Moodley looked most beautiful when she tied the knot recently. After meeting in a nuclear engineering class while studying electrical engineering at the University of Cape Town, Miss SA first runner-up Remona Moodley fell in love with Eric Marais. The two recently tied the knot at fancy wedding venue Summer Place in Joburg, after dating for four years. The couple enjoyed a honeymoon in Jamaica before heading to San Francisco, where Eric has a job as an asset manager for an investment company. "Eric and I were both working at the same management consulting company in Johannesburg when he was offered a job as an investment analyst in San Francisco," Remona says. "Before he moved to San Francisco last year he made sure to propose marriage to make his life-long intentions clear. Eric has been living and working in San Francisco for the past six months and it was always the plan for me to join him there after the wedding." But Remona won't just be enjoying a life of leisure in sunny California. She will be starting her MBA this year andthe US-based company she works for is sponsoring the completion of the business course anywhere in the world. Lucky girl!